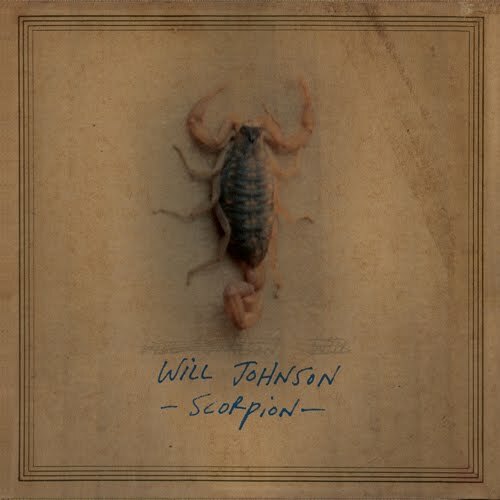 Scorpion, Will Johnson's new solo record differs from Centro-matic records in that it is quieter - a really hushed affair. It differs from his South San Gabriel side projects in that it is more raw. And in Johnson's own estimation (read interview with Dallas Observer here), he intends it to be a "grower". And it is. Scorpion starts out slow, quiet and intense... and stays that way. It's a record whose vocal intensity forces you to pay attention, but that is so musical and listenable that you find yourself lost in it. Johnson's vocals are, as always, a highlight. He conveys so much with slight changes in tone and tempo, that he's one of the best acoustic artists working today (electric, too, but that's for a Centro-matic review). And you can see our previous post here, with a link to download that song, too. Just an amazing vocal. Special thanks to "The Galassi Brothers", who are credited with filming it. Helping him with the record are Matt Pence (at whose studio it was recorded) and Scott Danbom from Centro-matic, Howard Draper (Tre Orsi, Shearwater, Okkervil River) and Magnolia Electric Company’s Mikey Kapinus. Other highlights include "It Goes Away So Fast", with what sounds like a looped synthesizer slowly morphing into a raw-but-restrained electric guitar solo over the last minute or so of the song, and the 7:00 "Bloodkin Push", an alternately pretty and difficult song, featuring mostly just acoustic guitar and piano, that really takes its time. This record rewards your attention, especially your repeated attention. It's going to be out Tuesday (9/11) but you can stream it now at Paste. Johnson has self-released the record, and you can get it at his website, or via the usual sources. At his website, you can also check out tour dates. Premiere of Sam Russell's video for "Too Far In The South"
On October 30, Seattle's Sam Russell will release The Year of the Cow, the sixth edition of his Blue Moon Bible collection of eight-song albums with interconnected themes and characters. A less raucous set of songs than the previous five in the series, we will post a full review of the new album when nearer to the release date. After completing the album, Sam filmed his performance of each of the songs from the album at Studio V in Seattle. Sam intends to release these performances in the weeks leading up to and through the release of the The Year of the Cow. 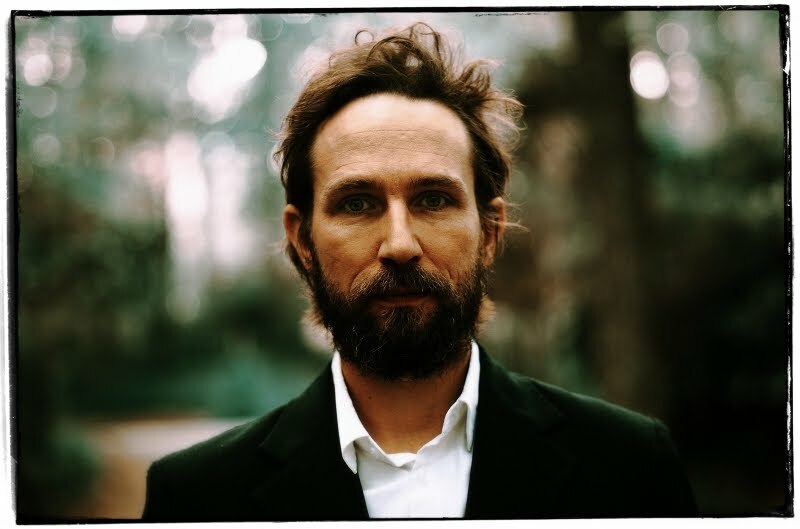 Today, When You Motor Away is honored to premiere the video -for Sam's performance of "Too Far in the South". While the song appears on The Year of the Cow, on the album the lead vocals for the song are provided by Kate Noson. The performance here simply is Sam and his acoustic guitar, with Michael Spaly playing the fiddle off-screen. The video simply is a great showcase for a stellar song and a wonderful delivery. Enjoy! The video was filmed at Studio V, directed and edited by Lulu Gargiulo, and recorded by Charles Bork, Michael Spaly and Conrad Uno. If you would like to check out our previous posts regarding the Americana soul of the talented Mr. Russell and his collaborators, see here and here. The Soul Corner - The Isley Brothers "It's Your Thing"
This one still rocks the house, still sounds good. 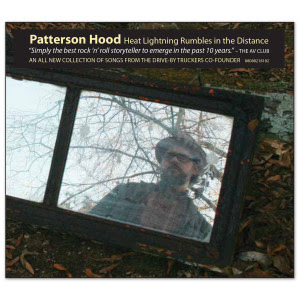 Patterson Hood's new album features a title that couldn't be more apt. Heat Lightning Rumbles In The Distance summons thoughts or memories of hot, languid nights spent reflecting on things far away... and that's kind of what the record is about. So it's been in the works for a while - in essence, most of Hood's adult life. And the consistently high quality of this record shows that. Hood, again: “The songs begin in the period that the book was set in, but don’t end there, as they really just were the impetus for writing about the life I am living now and contrasting it with the troubled times of two decades ago." Living a good life - while reflecting on a distant past when life wasn't so good but we lacked the perspective to know better - what better material for an artist as talented and reflective as Hood to make into his best record? The record is rich, deep and beautiful. I could write paragraphs about how many wonderful little touches embellish this record - the :45 intro to the title track is as good as R&B-flavored Southern rock music gets, for example, and then it gets better. And I believe the bass lines merit special attention. I'm not sure I could tell you which lines are played by his dad, and which by Hood himself, or which by Cooley, and I'm not sure it matters. They are all wonderful, yet somehow understated, and create a very comfortable atmosphere for every song on the record. But I really don't know how much you need me to tell you about this record. If you like storytellers, if you like Southern rock -- or any kind of rock, or country, or R&B, this record is well worth your time. When we first got word of this record, we put up a post featuring a free download of "Come Back Little Star", Hood's ode to dear departed friend Vic Chesnutt. You can find that post here. In fact, you can stream the record right now at Rolling Stone. Hood is not holding anything back on this record. As good as his previous work has been, consider that he's held back some of this work for 20 years while he polished and honed it - and it shows. And he's assembled a cast of bandmates, friends and family to help him realize his vision for the record: Drive-by Truckers Mike Cooley, Jay Gonzalez, Brad Morgan and John Neff, as well as Scott Danbom and Will Johnson from Centro-matic and Kelly Hogan (who co-wrote "Come Back Little Star" and whose vocals on that song are a highlight). Hood’s father, famed Muscle Shoals bassist, David Hood also plays on the record. [As do David Barbe and Jacob Morris - thank you to commenter "Anonymous" for pointing out my oversight!] In short, Heat Lightning Rumbles In The Distance is a masterpiece - as much as I've grown to like the Truckers and Hood's other work, this is simply the best record he's ever made. Bob Dylan, perhaps you've heard of him? Tempest, Dylan's 35th studio album, is a dense, compelling work that is going to take many listens to fully unravel. What could drive a man to make edgy, tough-to-categorize music 50 years into his career? Who knows, but we are damn lucky to be here to experience it. Dylan resides in his own musical space, one where the rock'n'roll of the past 50 years, including his own, doesn't exist. Instead Dylan plays with the building blocks of rock'n'roll - the blues, jazz, folk and string bands of the '20's, '30's and '40's. But Dylan's Americana is not rooted in rosy nostalgia, and instead lurks within the dark underbelly, the margins, the hard times. Take the title track for example, a rambling 11 minute retelling of the sinking of the Titanic, a story so rich with images of horror, avarice, class warfare. Or the one nod to the rock'n'roll era - "Roll On, John", an ode to the only real musical peer Dylan ever had, his friend John Lennon. In both cases, great seemingly undefeatable forces of progress come to a bad and violent end - a loss of life, innocence and greatness. Is this all a commentary on modern America? Another song "Early Roman Kings" suggests the fall of a great empire from greed and corrupt leadership. One line in that song is particularly hard to ignore: "I ain't dead yet, but my bell still rings." Special kudos to my friend Scott Litt who engineered this record and gets just the right sound. 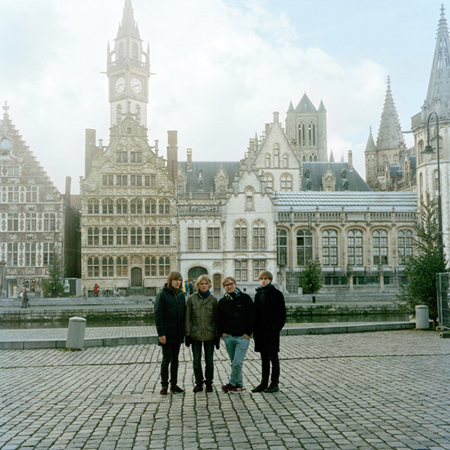 You may recall we posted about Texas psych/shoegaze band Ringo Deathstarr a while back - first, a review of their last album Colour Trip in 2011, and then more recently when they were looking for help with their current project, an album entitled Mauve. 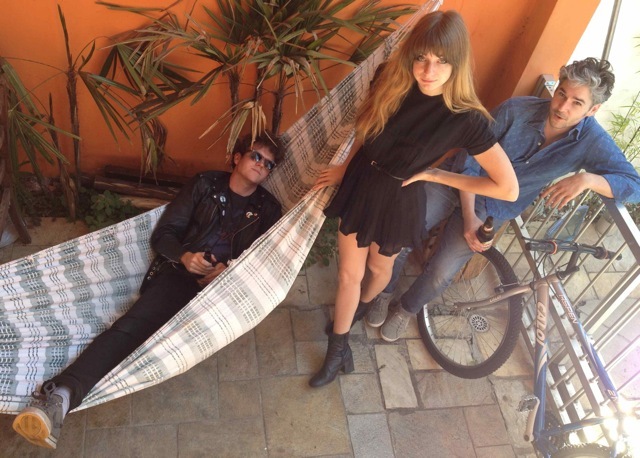 Ringo Deathstarr are Elliott Frazier (guitars & vocals), Alex Gehring (bass & vocals), Daniel Coborn (drums). Seattle's Zebra Hunt is a fairly new band. In fact, their Facebook page states that the band was formed early this year. However, their Bandcamp site has two October 2011 demos, so they may have been testing the waters a bit ahead of the official start date. In any case, there was no need for caution. Erik, Mitch and Robert have dialed in accurately to a much loved and classic indie guitar sound. The jangly, noisy touchstones of The Clean and other Flying Nun bands will come to mind, as well as contemporaries such as The Fresh & Onlys. But this is no tribute act--when you hear Zebra Hunt, you'll want to put on your pith helmet and sign up for the safari. The songs are available free, so join the hunt! Nashville's The Excuses are playing a really exuberant brand of punk-inflected rock music with a lean in the direction of power pop. It's got a strong backbeat and a well-defined sense of melody. Playing "spot the influences" isn't a bad way to explore this record and will yield comparisons as diverse as, say, Fountains of Wayne ("Ashley Changed Her Name to Brooklyn") and Foo Fighters (several intros, most notably "Has Anybody Ever Loved You Like That"), with the common elements being sing-along-worthy choruses and strong support from the rhythm sections. 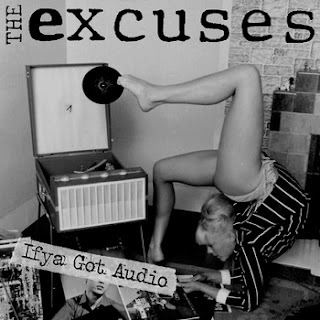 The Excuses are Jeff Skorik on guitar and lead vocals, Pat Meusel on bass and backup vocals and Chris Minnis on drums. They all do a good job - the guitars are turned up, the vocals are loud and snarly like good rock music, and the bass provides solid support - but to my ears, Minnis' backbeat is the key to making these songs really stand out. Where you can also buy the record, either digital, physical or both. I look forward to hearing more from these guys. The next track is the lovely dream pop of "Velvet Jam". The members of the band are Appu (guitar, vocals, glockenspiel), Valtteri (guitar and vocals), Janne (bass and synth), and Kece (drums). Their hometown is Turku, Finland. 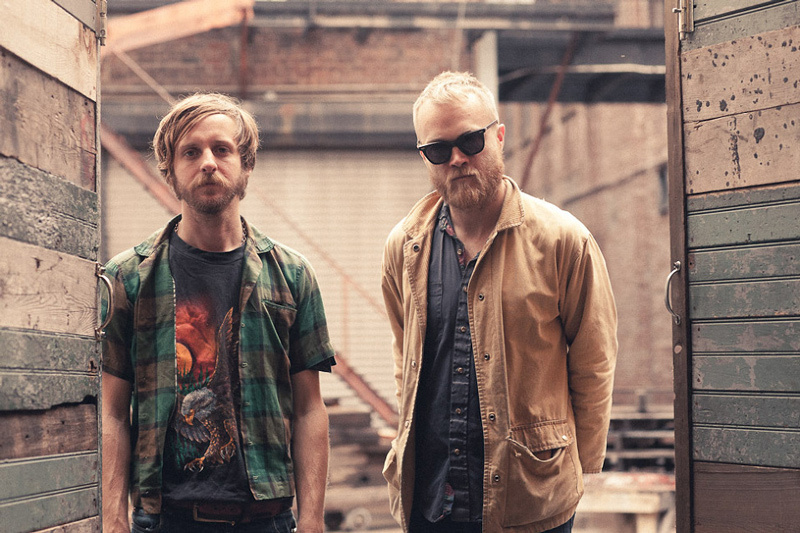 The New Tigers is an album for fans of the electric guitar. 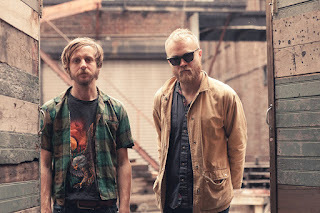 Not metal-shredding guitar, but melodic, chiming, fuzz-drenched layers. 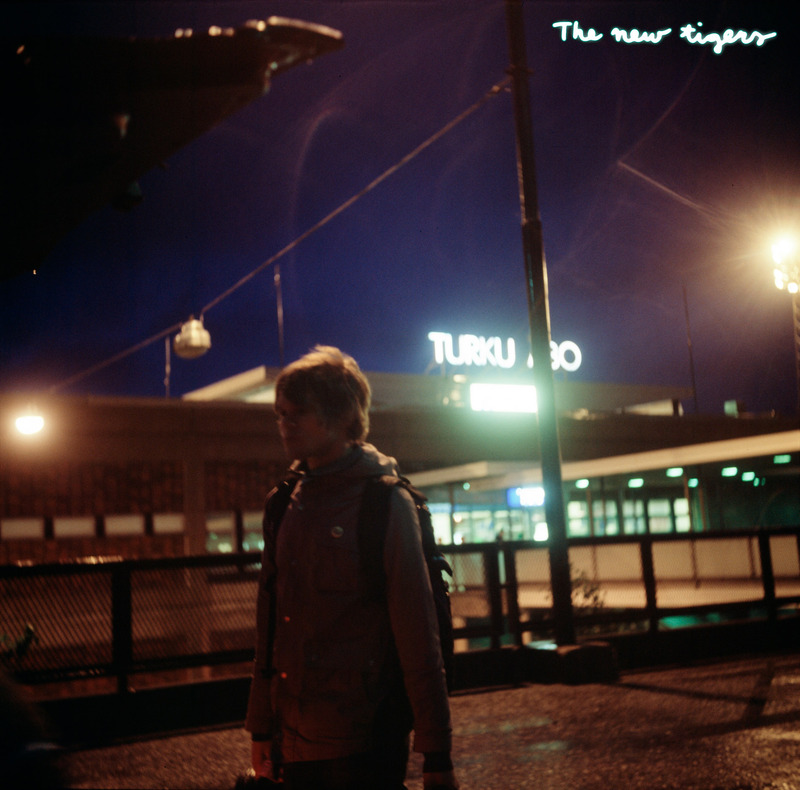 It will remind you of young Teenage Fanclub and Sonic Youth. If you are like me, you'll get this album, put it on, and find that about nothing else you have can knock it off your playlist. By the way, my favorite song on the album is the sixth, "Door on the Floor". I think it is the way The Jesus and Mary Chain would have sounded if the Reid brothers had been happy. And for those who want a slow dance, "Transitions" in the number seven slot fits the bill. 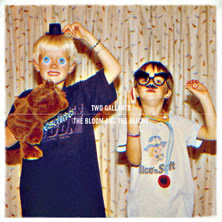 For want of a better term, I'd describe Two Gallants' new record The Bloom And The Blight as "hard folk". Lead singer Adam Stephens has a way of switching between a throaty roar and a plaintive wail, often within the same song - and on this record, they really turn up the guitars. From the beginning of first song "Halcyon Days", the guitars and drums are turned way up, and Stephens (with drummer Tyson Vogel's backing vocals) is reminiscent of Eddie Vedder - a full voice fronting a nearly arena-worthy roaring rock band. You can listen at Rollingstone.com (click here) for now, not sure when they'll take that down. Like a lot of two-member bands, they pack a lot of sound into a pretty small space, and I think Stephens' voice is unique and very evocative. They've crafted a really interesting sound... at times I had the thought "What if you crossed Fairport Convention with Led Zeppelin?" We wrote about these guys a while back when they made the first download available in June, and again earlier this month with a free download of "My Love Won't Wait". So, you've got an opportunity to listen at RollingStone.com, and two downloads if you click on our links above. If the video does anything for you, I suggest you check out those other songs and go buy the record. It's out tomorrow (September 4) on ATO Records. And they've got some travelling planned - they are playing nearly every night for the rest of the year. Check out their Facebook page for info on tour dates. The triumph of this album is that, despite the presence of one of the true masters of reggae and dub, The Orb eschews the temptation to make a focused dub reggae album. And despite the collaborators seeming incongruities, the evidence is that the sessions brought out the best of both parties. At age 75, Perry can still elicit awe, and can still cause some to question his grasp or reality. But for us, there really is only one concern, and that is whether he can still communicate through his music. And quite clearly, he can. We're seriously into this album at the Rocksteady ranch, and it is available today. Join the party!